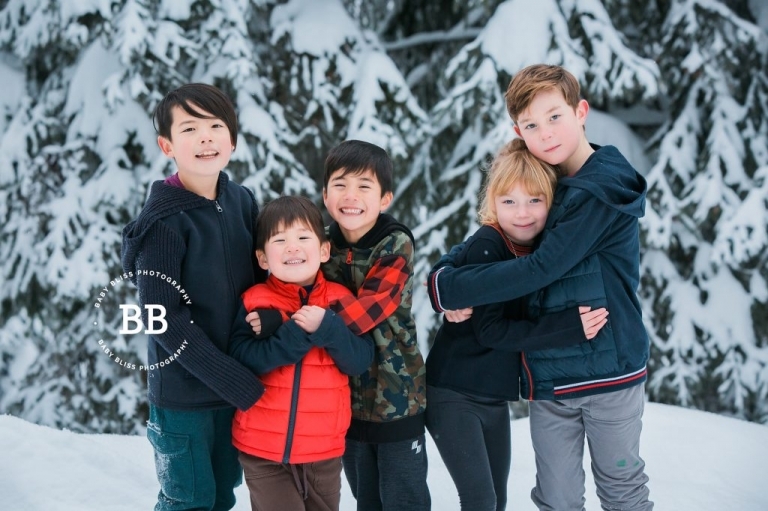 Christmas Holidays are the perfect occasion for Vernon Family Photography. Many families are fortunate to gather over the holidays. Sometimes it is the only time in the year that they are all together. It is a perfect time for my clients to hire me to capture beautiful family portraits. 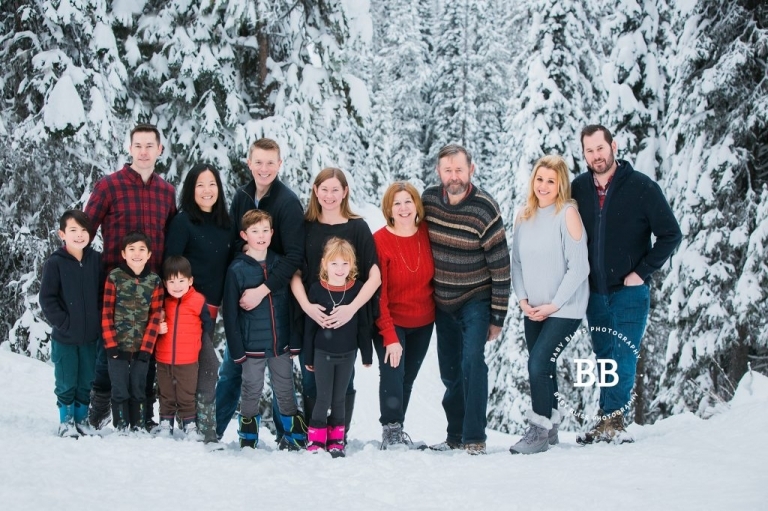 I love Silver Star Mountain Resort and the Martyn family took full advantage of their time together by renting a home up there. The snow makes everything so beautiful and bright. 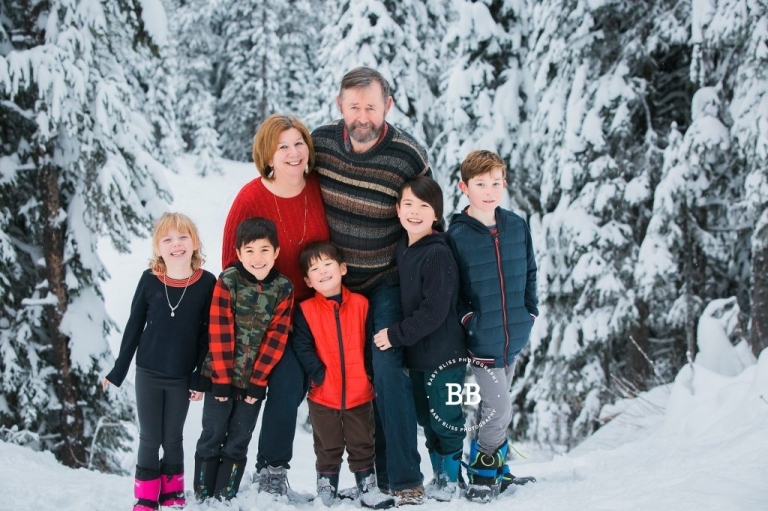 I have been incredibly fortunate to photograph the Martyn family numerous times since they first moved here to Vernon from the lower mainland. I first met them when they were a family of four and we created some lovely family portraits at their new home. I have then seen them as their family grew with maternity portraits, newborn portraits and more family portraits! We had photographed Dionne’s side of the family before, so it was now Alan’s turn to capture all the joy on his side. 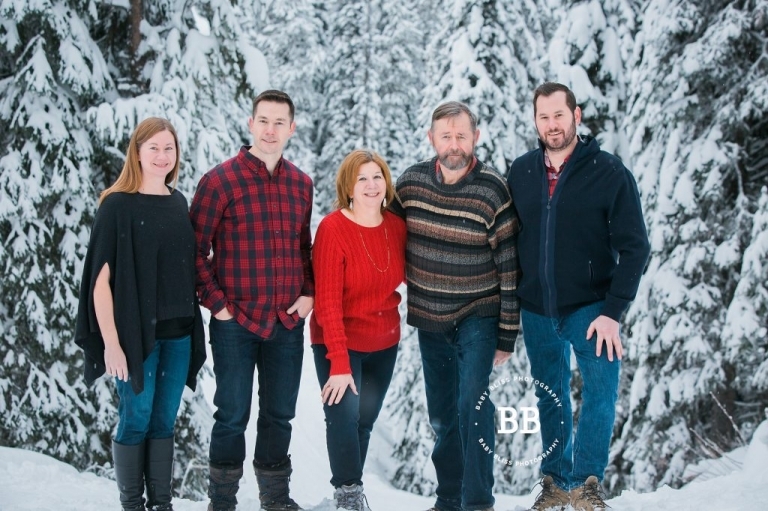 Alan’s family were all here from the lower mainland and it was the perfect opportunity to bring them back in front of my camera. I love how joyous they all were despite it being somewhat chilly. No matter how cold they felt, everyone put on their game face and we moved everything along at a good pace….plus warming up with jackets in between set ups helped! I was super impressed they had all been skiing prior that morning, and were returning to the slopes again after we were done. They are quite the amazing family of skiers! Thanks Martyn family for taking time out of your holiday festivities to meet with me and capture these beautiful portraits. I adore working with you and creating such beautiful art!